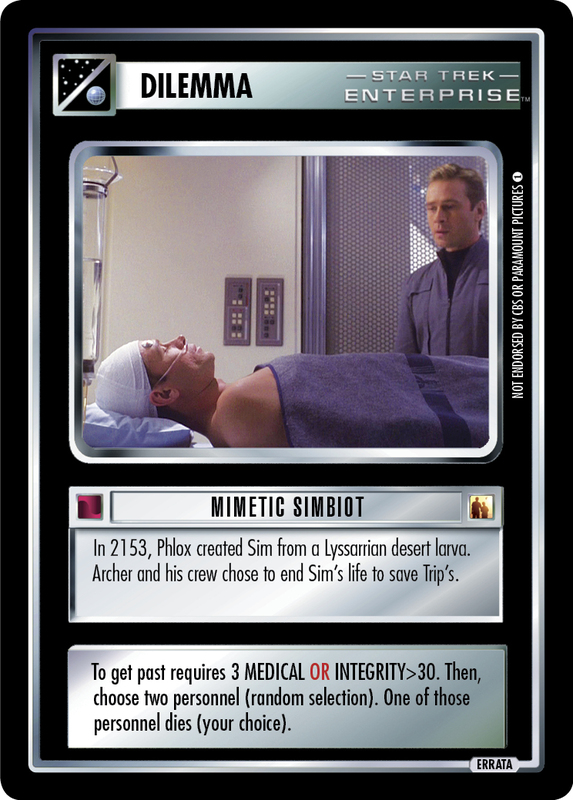 In 2153, Phlox created Sim from a Lyssarrian desert larva. Archer and his crew chose to end Sim's life to save Trip's. To get past requires 3 MEDICAL OR INTEGRITY>30. Then, choose two personnel (random selection). One of those personnel dies (your choice).